Lowest Rate in 5 Years! Mountain Magical! Walk to the Creek! 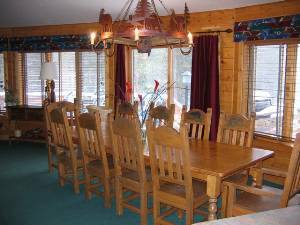 "I can’t even begin to tell you how awesome this place was and what a great time we had!! 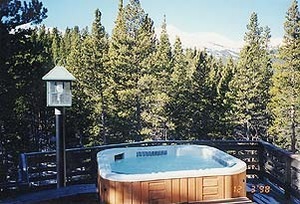 Forget about ski in/out – I do not know why anyone would want that when that beautiful lodge is available in that setting. 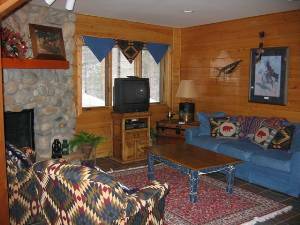 I am glad there was nothing else available so I had a chance to get familiar with the lodge!! Everyone loved the house and setting and we had a great time. Thanks for recommending it to me. I know we will be back next year." 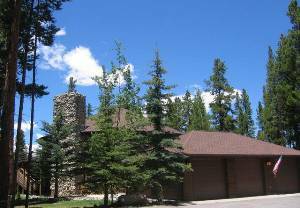 A premier rental home in Breckenridge! 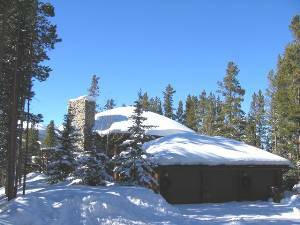 This magnificent lodge is private and secluded, yet only a mile from downtown Breckenridge and the Peak 9 lifts! Surrounded by tall pines, you can still catch ski area views of Peaks 9 and 10. 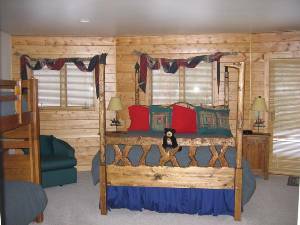 Each room is professionally decorated with a mountain theme. Venture outside and experience the Blue River that runs adjacent to the property. 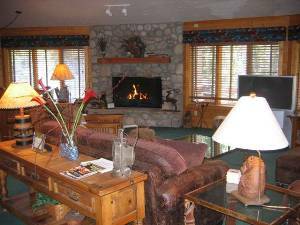 The Black Bear Lodge is on 2 1/2 acres; and incorporates too many amenities to list. 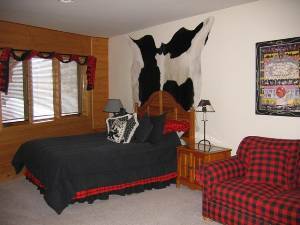 This is the perfect retreat for your Breckenridge vacation. Views, river property, heated boot storage, all small appliances, 2 wet bars, humidifiers, 8 televisions, several VCR's/DVD Players, Nintendo, sleds, board games. The Lodge was wonderful. We enjoyed this little paradise in the mountain; and we were close to all of the town ammenities as well. Deposit: $1500 Refundable Security/Damage Deposit will be due within 10 days of making a Reservation. Cancellations and Refunds: If cancelled 3 months prior to your vacation start date; you will receive all money back less $200. Within 3 months, you will lose all monies including the Security Deposit, unless the property is rebooked for another party; a $200 fee will be kept.